Contact Us | Whitehill Dental Care – Our aim is to keep you smiling! Please contact us with questions you have regarding our services. Saturday appointments can be arranged for private treatments only. 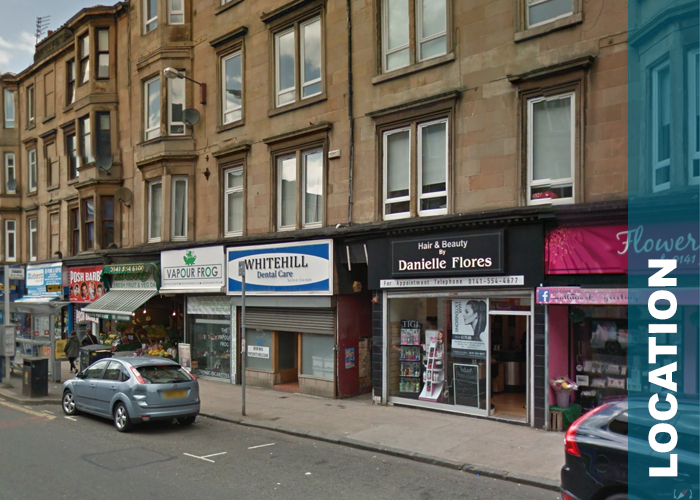 The practice is situated on the left hand side of Duke Street as you are leaving the city centre, between Whitehill street and Armadale Street. Duke Street is well served by a number of buses and is within walking distance of Belgrove and Duke Street railway stations. Car parking can be on the metered spaces on Duke Street or in the adjoining residential streets. If you have a dental emergency outwith opening hours, call the NHS24 Freephone number 111, which will put you in contact with the Glasgow Dental Hospital.